Christian Updates - New World Order. The Freemason Connection - WHOM DO FREEMASONS WORSHIP? Over the centuries since 1717, when Freemasonry as it now exists, was born, many authors have written against this society, alleging that Freemasonry is a counterfeit Christian organization. 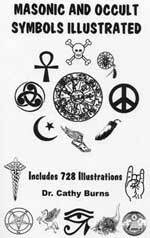 Some authors have even gone to the extreme of alleging that Freemasonry is of the Antichrist. Many other authors hotly defended Freemasonry, contending that it is Christian, and that it upholds the Holy Bible and its teachings. Who is true, and who is false? The Masonic Holy Bible, from the Dunton Lodge, No. 1017, F.&A.M., King James Version, A.J. Holman Co., Philadelphia, 1924. This week , we shall again be quoting from Albert Pike's monumental Freemason book entitled, "Morals and Dogma of the Ancient And Accepted Scottish Rite of Freemasonry," considered by many to be the absolute authority of Freemasonry. Then, we shall be comparing these individual points with the clear and absolute teaching of the Holy Bible. Our subject this week shall be worship; Whom do the Freemasons worship? This is a mighty important subject, since the God of the Bible clearly teaches that He is a jealous God<1>, and will not allow any other god or gods to be worshipped instead of Him. God's warning in Deuteronomy 4:23-24 is so instructive, I have reprinted it here; I encourage you to ponder carefully the Words of an Almighty God, Creator, Ruler, Judge, Husband of Israel, Father, "Take heed unto yourselves, lest ye forget the covenant of the LORD your God, which he made with you, and make you a graven image, or the likeness of any thing, which the LORD thy God hath forbidden thee. For the LORD thy God is a consuming fire, even a jealous God." The end result of someone worshipping a false god is "a consuming fire". The one exception to this prohibition, of course, is Jesus Christ, as Jesus stated "Jesus came and spake unto them, saying, All power is given unto me in heaven and in earth." This included the power, or authority, to receive worship from men; in fact, Jesus taught that He is the only path to the Father, "I am the way, the truth, and the life: no man cometh unto the Father, but by me." In other words, the only way anyone can worship God the Father is through God the Son, and His name is Jesus Christ!! Last week, we showed you that Freemasons do not worship God the Father of the Hebrew Scriptures; rather, they worship all the gods of the Ancient Mysteries. In the week before last, we showed you that Freemasons do not venerate the Jesus Christ of the Bible; rather, they believe Jesus was created by an inferior god, Ialdaboth, and that He was a human in appearance only. The Christ Consciousness, according to Freemasonry, fell on the human Jesus at the Jordan River Baptism, and left Jesus at the Cross, where He suffered and died in appearance only!! Wow! No one who believes this about Jesus Christ can call himself a Christian. Because, according to Jesus' Words, He does not consider such a one as a Christian. He considers such a person to be deceived, or a Counterfeit Christian! Today, we shall be studying whom it is that Freemasons worship. Let us return to the greatest Freemason who ever lived, and his most famous book, "Morals and Dogma". 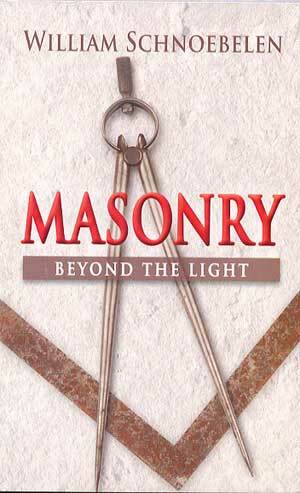 Pike said that "... Masonry is identical with the Ancient Mysteries ..." (On Page 624, 28th Degree). Indeed as I studied this book and others, I am amazed at how many stories of the gods and goddesses from the many Ancient Religions are written in full detail, as instructions to Freemasons! Before we begin our study today, you need to know the false teaching that Masons use to try to justify their blatant worship of Nature. They will tell you that they do not worship the object in Nature, such as the Sun; rather, they say they worship God through the Sun. Now, while this argument may seem logical to human reasoning, God does not feel this way. Since God is a jealous God, He is also very particular as to how men worship Him, how they attempt to approach Him. Please understand this basic Truth: God determines how men worship Him, and He determines who is saved and who isn't. After all, every man on earth was wrong about the flood, weren't they? Noah and his family were the only ones whom God considered to be saved. The jeers of the multitude were swept away when the floods gushed! We must be very, very careful that we approach, and worship, God in just the way He has proscribed, for He will reject the one who tries to worship Him in another way. I encourage you to read Exodus, Leviticus, and Deuteronomy very carefully, noting the extremely detailed instructions God gave to the Jews as to how they were to worship Him. Not only were God's instructions very detailed, He also killed some people who were foolish enough to think that they could change the worship just a little bit! And, God never allowed any person to approach Him in worship through any of His created objects of nature! In fact, God firmly forbids it! The Apostle Paul spoke directly to this subject, in Romans 1:21-24, "...when they knew God, they glorified him not as God, neither were thankful; but became vain in their imaginations, and their foolish heart was darkened. Professing themselves to be wise, they became fools, And changed the glory of the incorruptible God into an image ..." Remember these words, made God into "an image", for it will be important later on. what might be another word for "image"? How about "symbols", "allegories"? Then, in verse 25, Paul cut the ground out from anyone who thinks they can worship the created object rather than God, when he said, "Who changed the truth of God into a lie, and worshipped the creature more than the Creator ..."
"... Masonry is identical with the Ancient Mysteries ..." (On Page 624, 28th Degree). But, Pike wanted to really make sure we got the message, when, on Page 329, "... we reproduce the speculations of the Philosophers, the Kabalists, the Mystagogues, and the Gnostics." In other words, whatever the Ancients believed, Freemasonry embraces too. It can be no other way, if Freemasonry is going to be one of the major forces which unites all religions into one global religion, just as the Scripture foretells. "The Sun and Moon of the Alchemists give stability to the Philosophical Stone .." P.776. 12. "... the filthy and ill-omened He-Goat dragged him [the Sun] down toward the Winter Solstice. Arriving there, they said he [the Sun] had been slain and had gone to the realm of darkness. Remaining there three days, he [the Sun] rose again, and again ascended ... Soon they personified the Sun and worshipped him under the name of Osiris ..."
13. "The obelisk, resembling the shape of a flame, caused these monuments to be consecrated to the Sun and to Fire ... the obelisks were erected in honor of the Sun." Now, I want to comment on most of the paragraphs, 1-13, above. I did not want to comment on them as we first examined them, because I wanted you to get the full impact of this Pagan blasphemy. Now, let me point out some of the extent of the blasphemy, some of which you might not be aware. Paragraph 4 -- "Sun and Moon ... Divine sexes"!! This is old fashioned witchcraft, dating back 5,000 years to the Egyptian Mysteries. This is the concept of Luciferianism, that the Divine Father mated with Mother Earth. Witchcraft, witch---craft!! Witches make no bones about calling their religion "The Craft"; it is no wonder the Masons also call their organization the "Craft", as well as their Second Degree, the Fellow-Craft. Paragraph 5 -- "The Sun adored" --another term of worship. Paragraph 6/7 -- Finally, the truth wins out, as Pike twice actually uses the words "Sun God" together. Now, we really know whom he is worshipping. Paragraph 9 -- If the "ancients' worshipped the Sun, Moon, and Heavenly bodies, then so do the Masons, as Pike said, "are identical to the Ancient Mysteries". Paragraph 10 -- Faith is represented by the Sun! Not faith in our Lord and Savior Jesus Christ, and His Redeeming work on Calvary, but represented by the Sun?! That dying orb?! Once again, Freemasonry fulfills one of the requirements of Antichrist!! Finally, just in case you aren't convinced about the Nature worship of Freemasonry, you should consider another very old, and venerated, Masonic book, "Egypt The Cradle Of Freemasonry", by Norman Frederick de Clifford, 1902. One of de Clifford's chapters, Chapter 26 starting on Page 387, is entitled, "Sun Worship", and it is a detailed account of the veneration the ancient Egyptians gave the Sun. We shall speak more of this next week. Stay with us next week, as we discuss more teachings from Albert Pike's "Morals and Dogma", the most heralded and respected of all Masonic books. We shall hear Freemasons "In Their Own Words". We shall also discuss more of de Clifford's most revealing book!